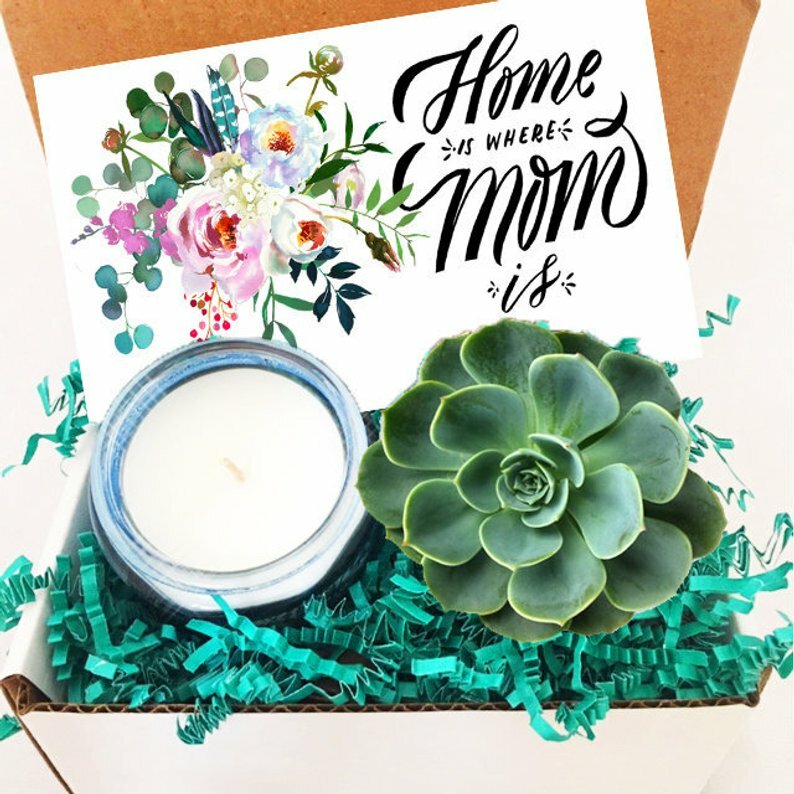 This fun gift box for mom includes a live succulent plant, scented candle, and greeting card that can be personalized for your mom. 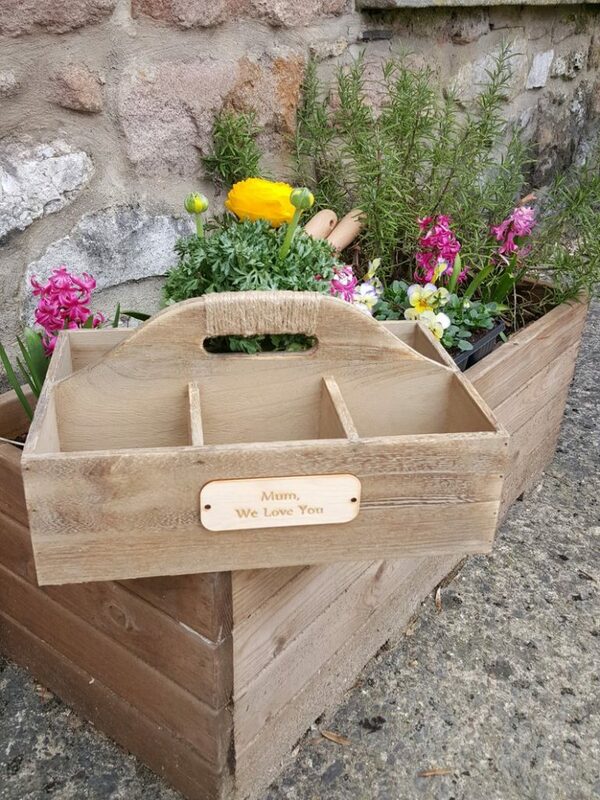 This personalized trug holds six pots or other garden essentials. If you’re planning on giving your mom plants, wouldn’t this be a beautiful way to deliver them? 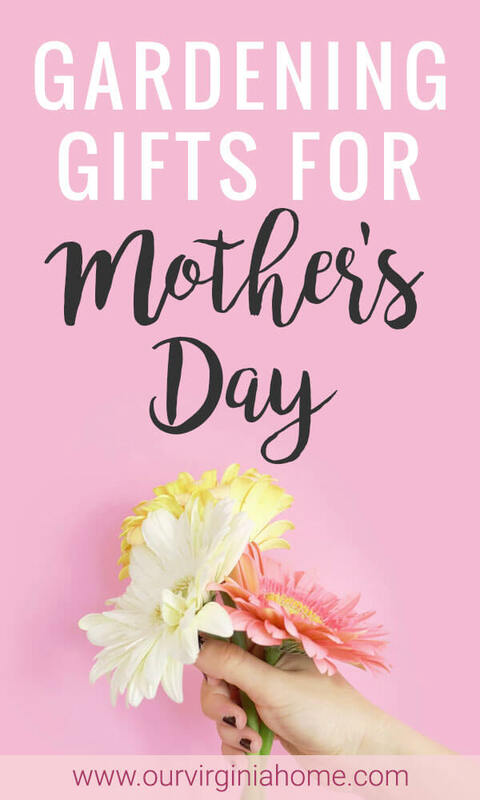 Mother’s Day gifts don’t have to be new. 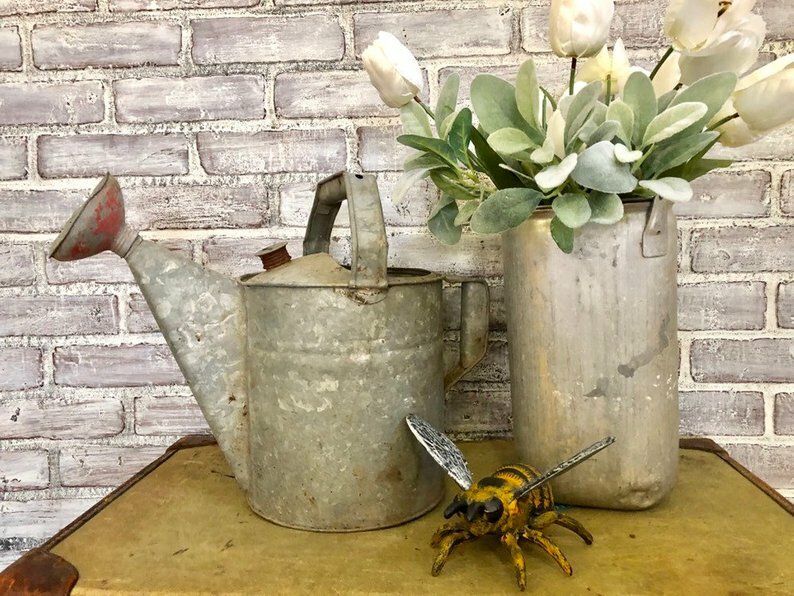 This lovely vintage watering can can be used for display only or in the garden. 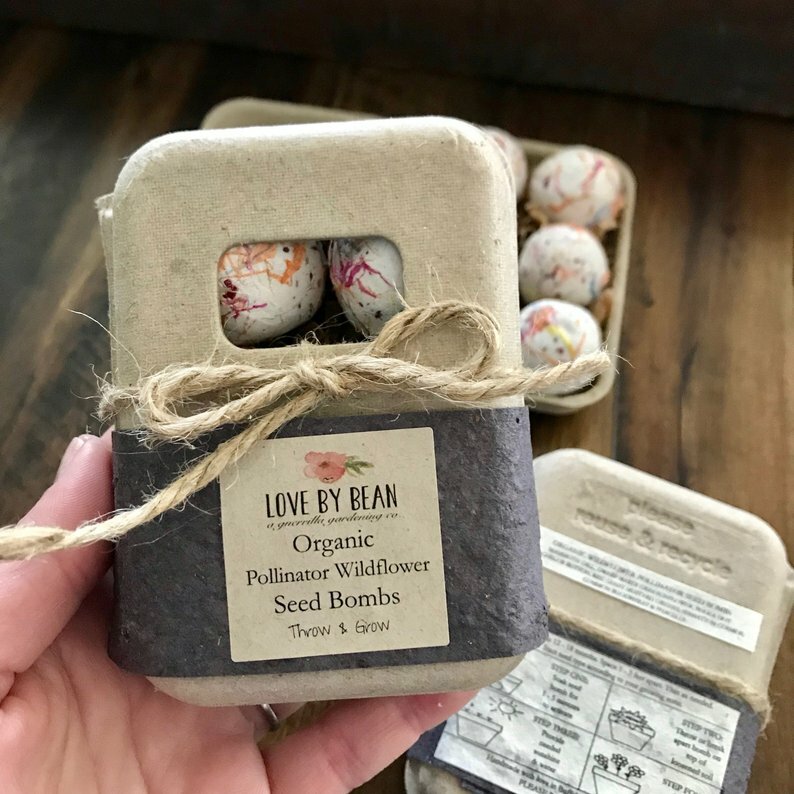 These organic pollinator wildflower seed bombs include seeds that will attract bees, butterflies, beneficial bugs and birds. The seed bombs are made with natural clay, organic soil, dried flower petals and organic seeds. This ceramic water bowl is mounted onto wood and includes a tank that holds water. When you turn the tap, water passes from the top container into the bottom container. 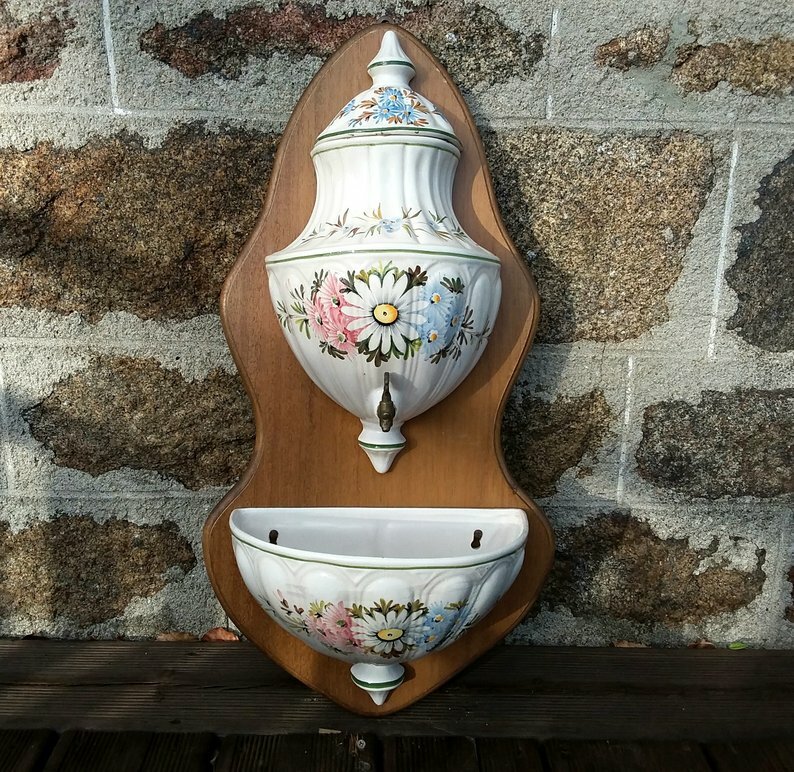 It can be used as a decoration in your garden or as a bird bath. 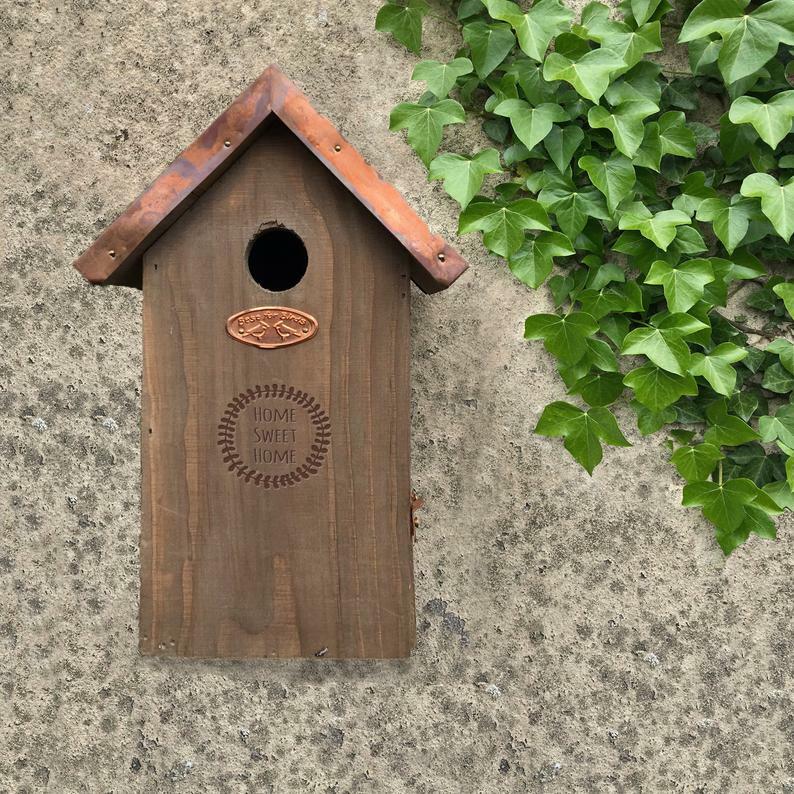 This wood bird house with a copper roof can be customized with up to three lines of text. It’s a stylish accessory for any garden and a great place for birds, too. 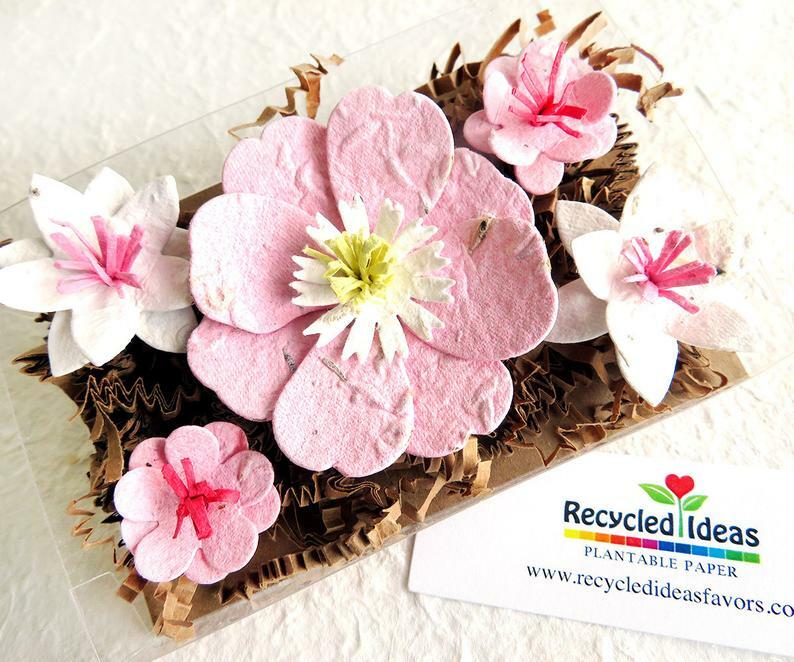 These flowers are made from seed paper that you can plant. You can use the gift box as a greenhouse. The flower seed paper contains seeds for zones 3-10. 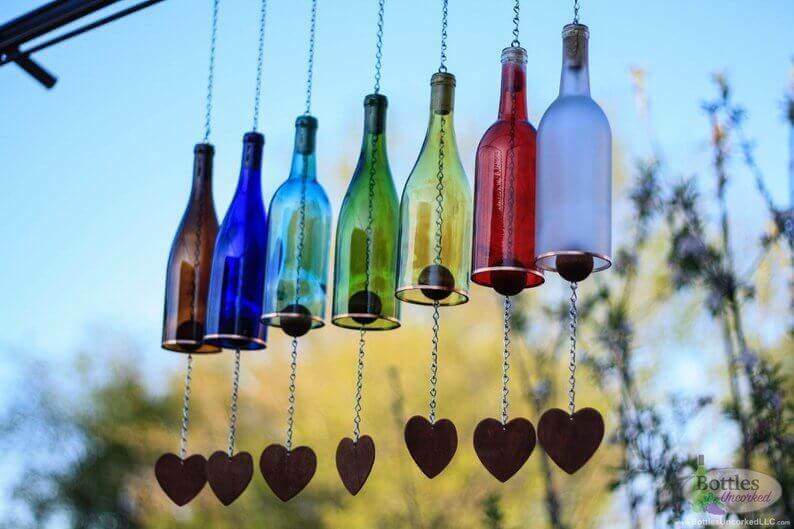 A colorful wine bottle wind chime is a perfect gift for a mom that loves fun garden accessories. The cut wine bottle with a copper accent includes a stained wooden ball and heart. 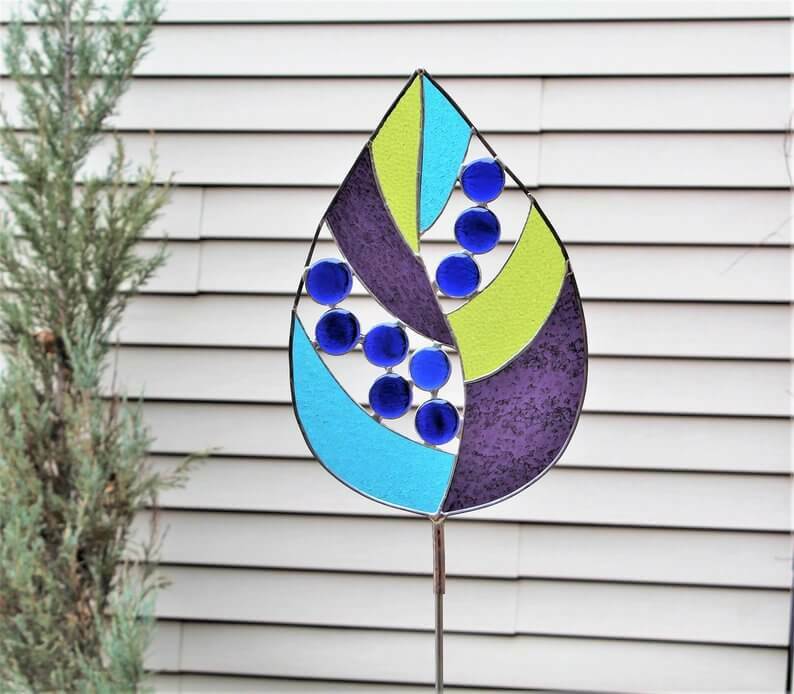 This teardrop stained glass garden stake is handmade and can be customized with your mother’s favorite colors. 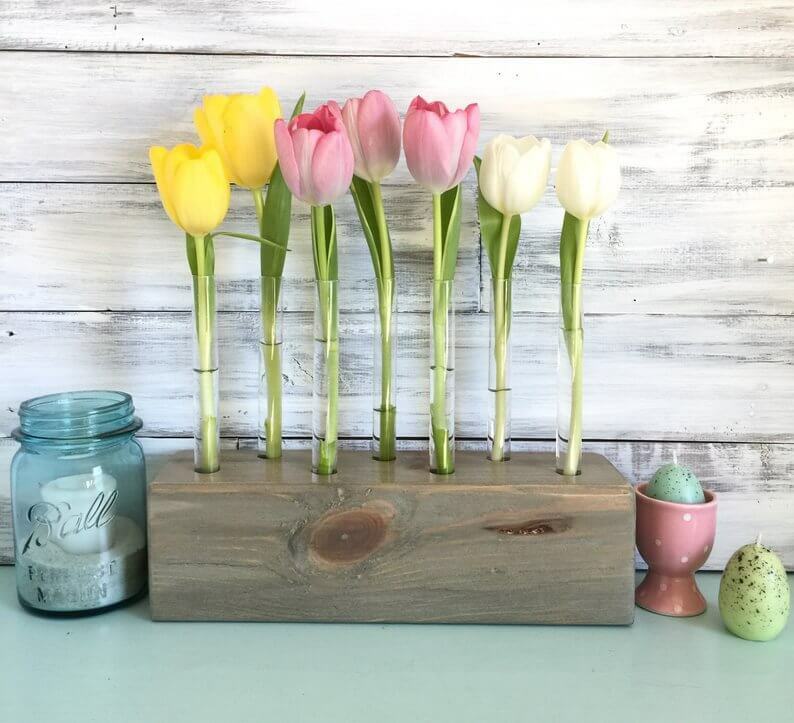 If your mother loves to cut fresh flowers from her garden, she can use this farmhouse test tube flower vase to display them.